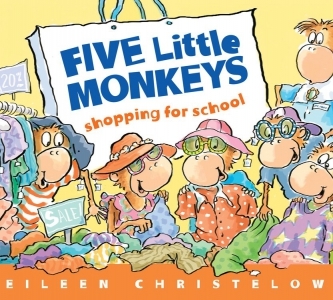 The day before school starts, Mama takes her five little monkeys shopping for new clothes. 'Stay right here,' she says, 'AND DON'T GO WANDERING OFF!' But one little monkey has to go to the bathroom and two little monkeys get thirsty . . . Then three little monkey friends arrive . . . and four little monkeys decide to go help find the others . . . Will Mama ever get all of her monkeys ready for school? 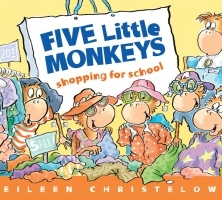 Like the other books in the FIVE LITTLE MONKEYS series, kids will love reciting the repetitive phrases, counting the characters, and predicting what will happen next.